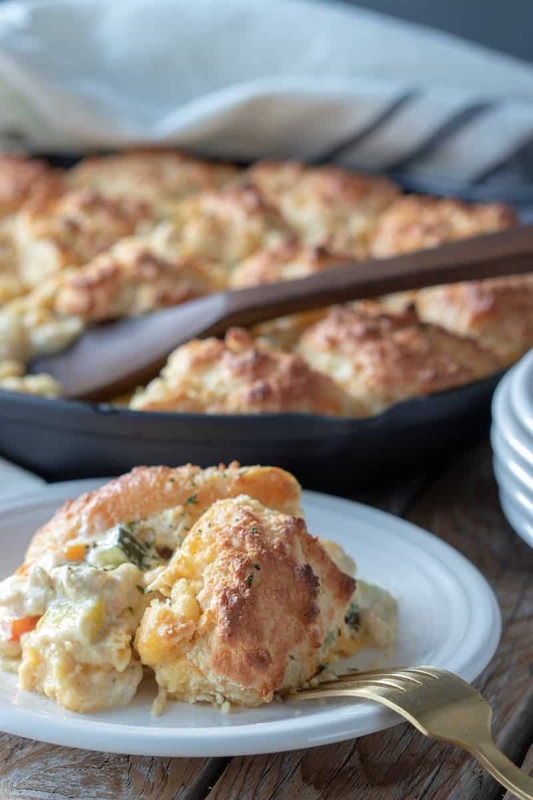 This Keto Chicken Pot Pie Recipe is one of the easiest recipes to make and the whole family loves it. 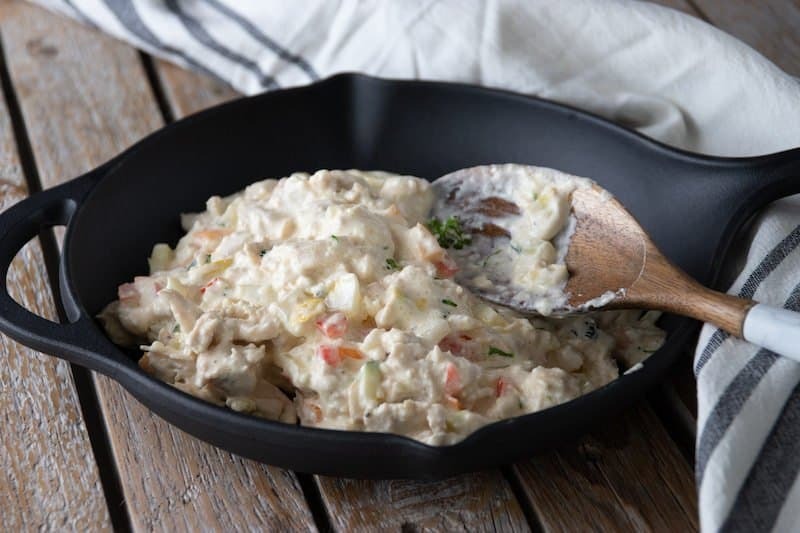 This is one of those recipes where you can use leftover plain chicken and turn it into an amazing meal where your family won't even know you've used leftovers. I've also been known to grab a rotisserie chicken from Costco for this recipe too. Or, you can always precook your chicken in an instant pot with a cup of water or chicken broth. The chicken cook time in an Instant Pot pressure cooker is only 10 minutes on manual for fresh defrosted chicken, or 12 to 15 minutes for frozen chicken. That's the best part about my pressure cooker. If I forget to defrost my chicken, I can always pop it in the Instant Pot pressure cooker and have it steamed in no time! 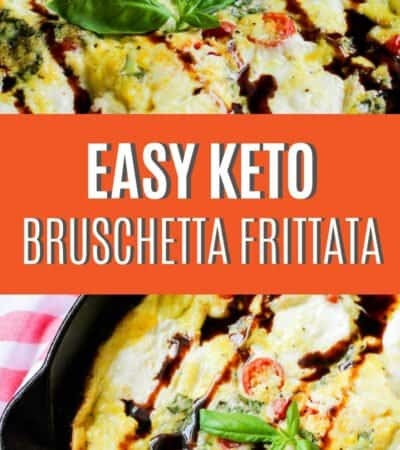 Now you can use a frozen bag of mixed vegetables for ths recipe but if you are looking for keto approved veggies it should be a combination of onion, broccoli, cauliflower, zucchini, radishes, squash, red peppers, orange peppers, etc… Most precut mixed frozen veggies have carrots and peas. 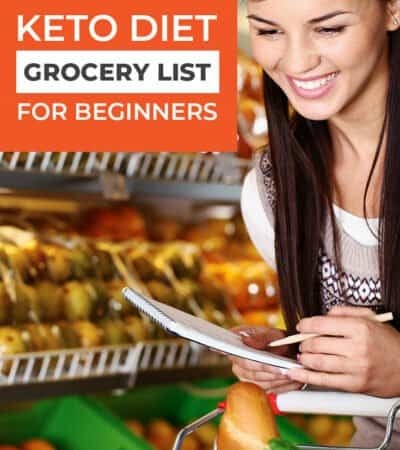 If you are strict keto, I want you to be aware of this. 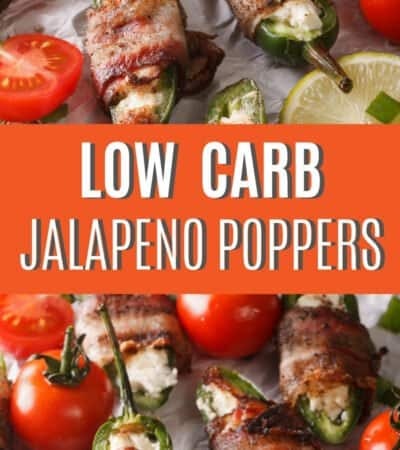 This will be one of those keto dinner recipes that you hold on to forever! It's really, really good! 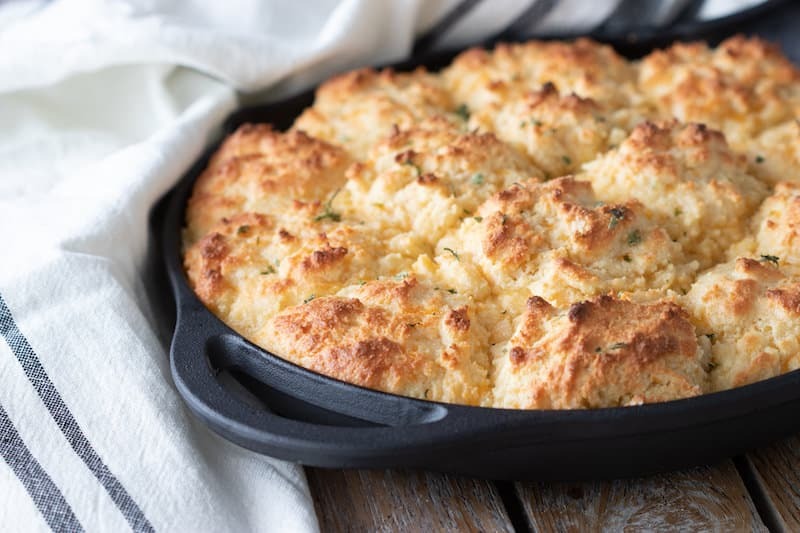 We alter this recipe a bit and used the most popular Low Carb Biscuits recipe on the internet! Heat the butter in an 11 inch cast iron skillet. Add the onion, keto vegetables, salt, pepper, garlic, and poultry seasoning. Cook it long enough to make the veggies nice and soft. This will take approximately 7 to 10 minutes. In a separate frying pan, add the chicken broth, cream cheese, Red's Hot Sauce, and heavy cream and stir until all the ingredients are melted and fully combined. Sprinkle in the xanthan gum on top of the cream mixture to thicken it. 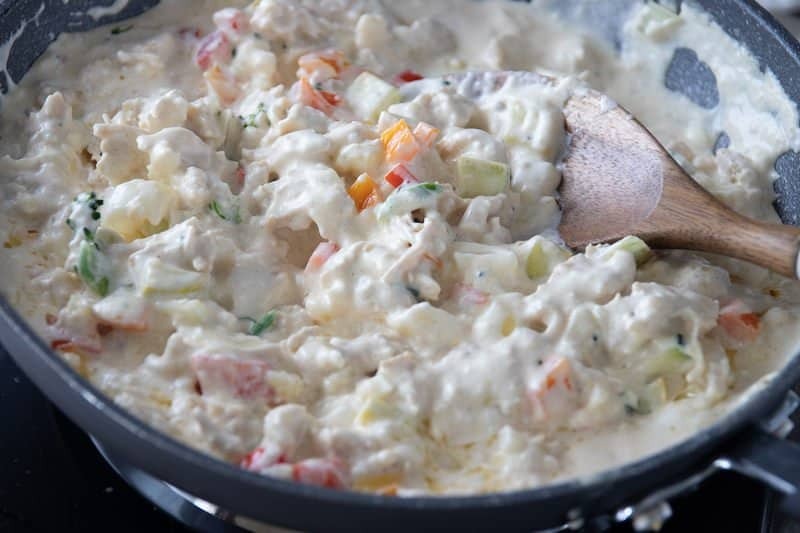 Now add the precooked chicken and the cream mixture to the precooked vegetables in the 11-inch cast iron skillet. 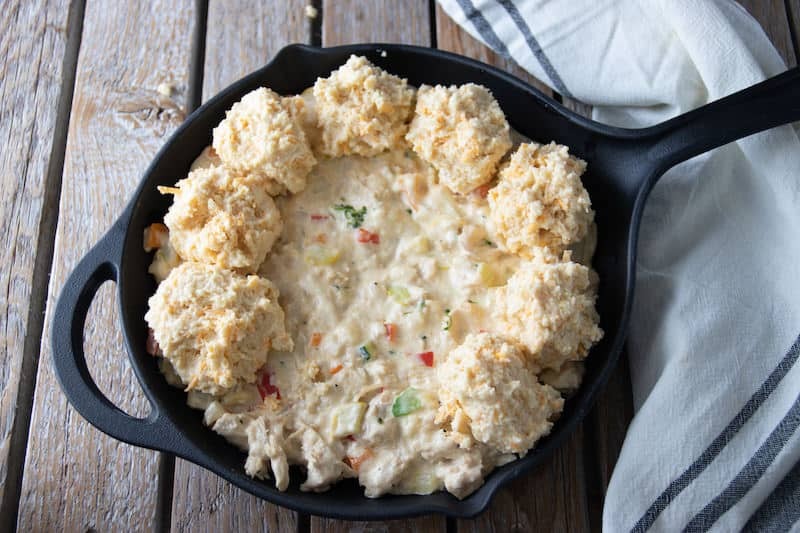 Set this mixture aside and start making the Keto Cheesy Biscuits for the Keto Pot Pie topping. In a medium-size bowl, combine the almond flour, salt, baking powder, onion powder, and garlic powder. Mix until all the ingredients are combined. 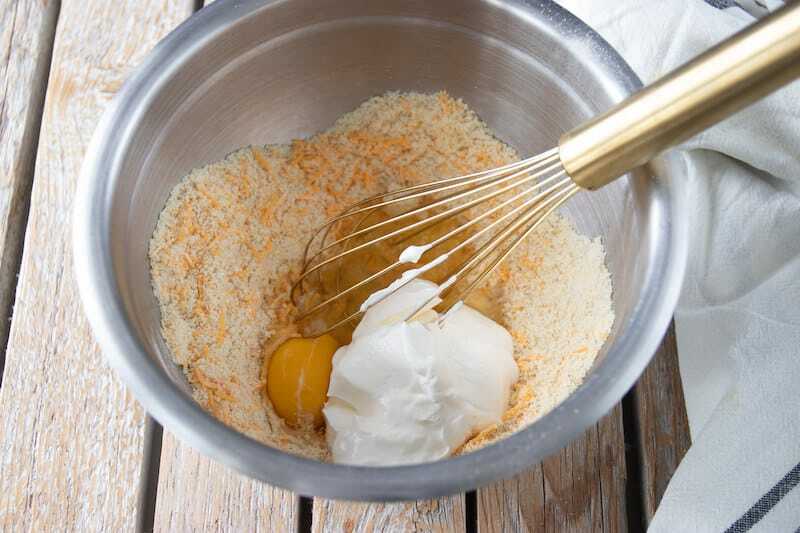 Add the eggs, sour cream, melted butter, and cheddar cheese to the dry ingredients. 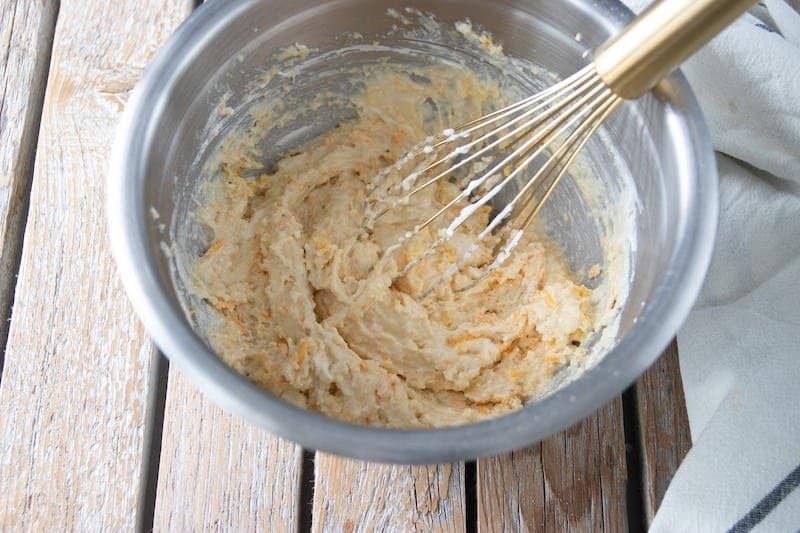 Mix until all the ingredients come together to make the biscuit dough. It will be a drop biscuit consistency type batter. 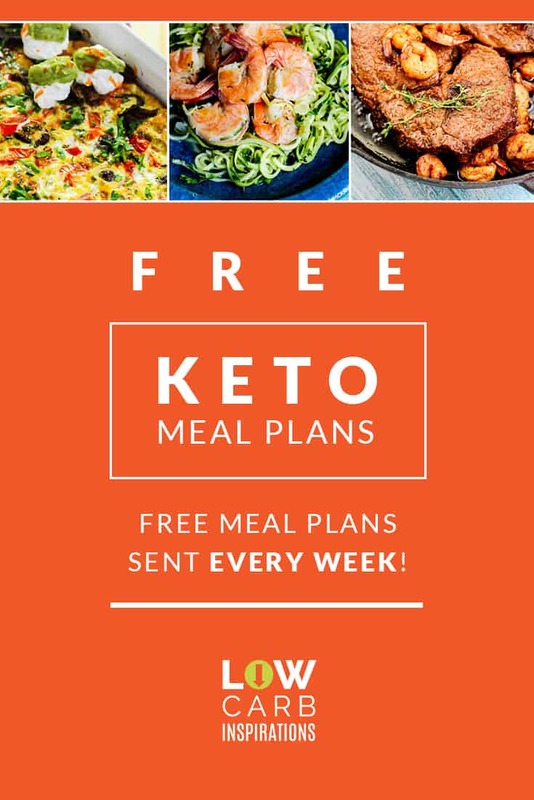 Using a tablespoon, scoop out equal portions and place it over the top of the Keto Pot Pie vegetable mixture you set aside earlier. Cover the keto chicken pot pie with aluminum foil and place it in the oven for about 40 minutes until it's almost done. 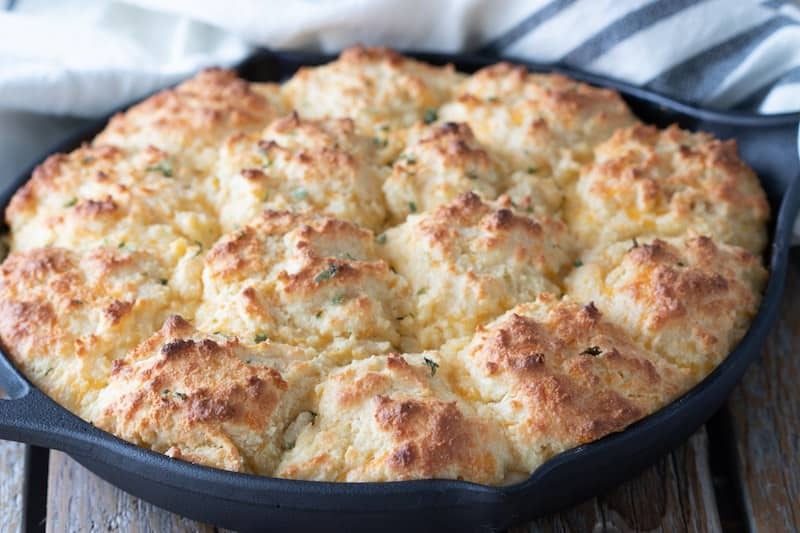 Remove the aluminum foil and all the biscuits to brown on top for an additional 10 minutes until the center of the biscuits is completely done. You will know when they are done when you poke them with a toothpick (or knife) and it comes out clean with no batter on it. 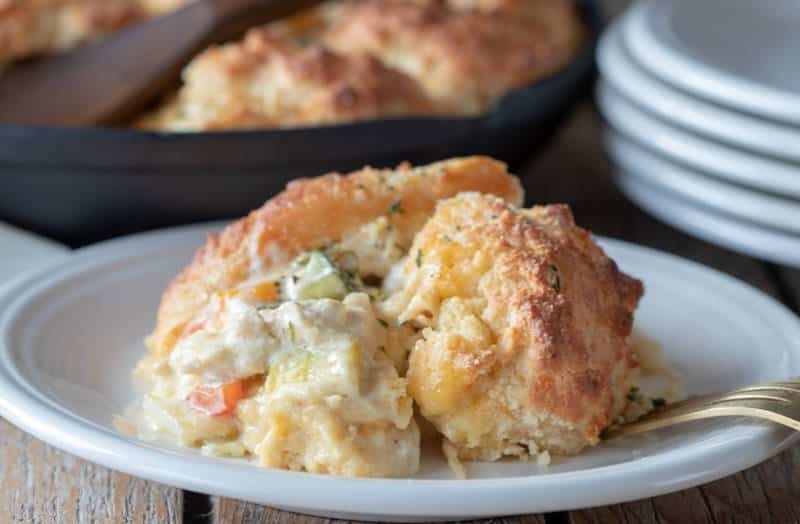 In these recipe photos, we doubled the Keto Cheesy Biscuits topping ingredients to make more biscuits but you can use less. 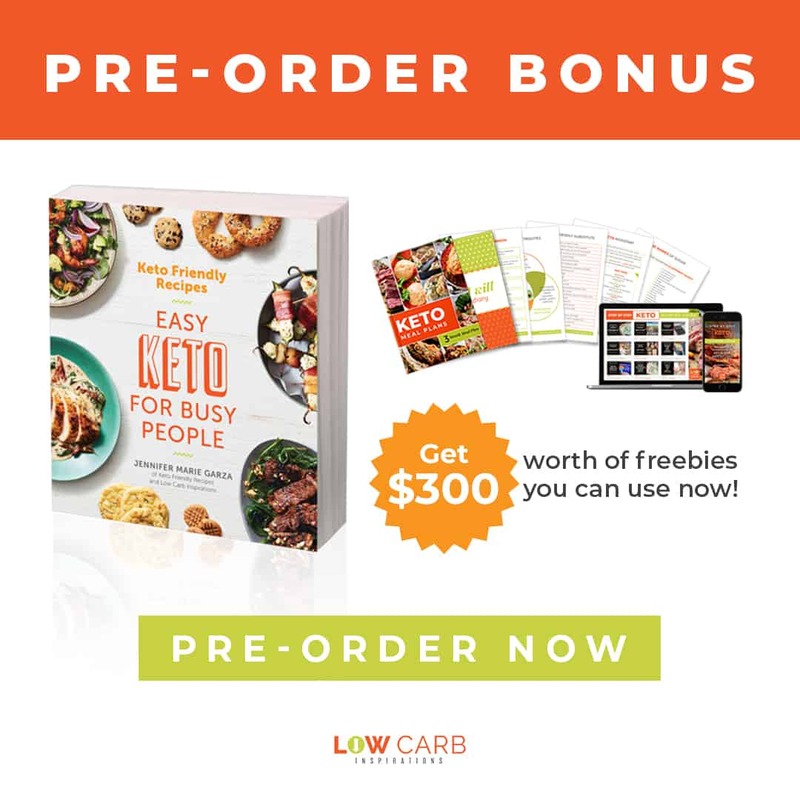 Here are a few photos we took while making this delightful Keto dinner! 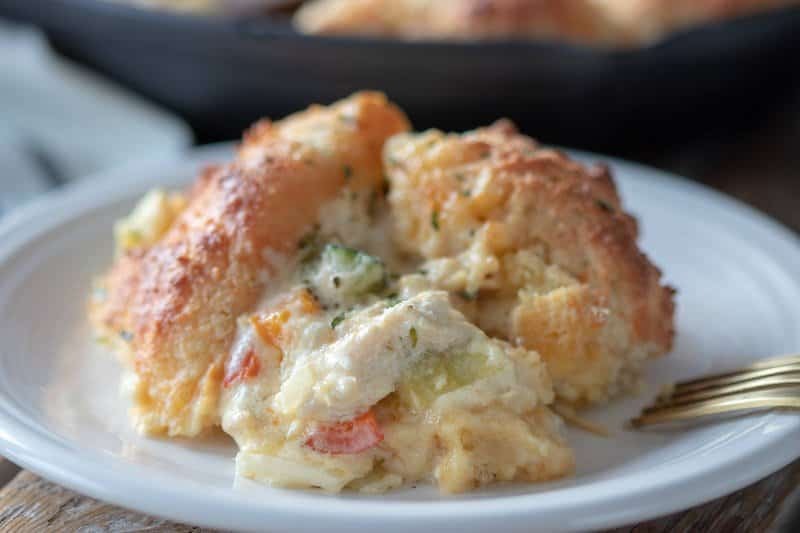 This Keto Chicken Pot Pie Recipe is one of the easiest recipes to make! You can use left over chicken or you can always precook your chicken in an instant pot with a cup of water or chicken broth. The chicken cook time in an Instant Pot pressure cooker is only 10 minutes on manual for fresh defrosted chicken, or 12 to 15 minutes for frozen chicken. That's the best part about my pressure cooker. If I forget to defrost my chicken, I can always pop it in the Instant Pot pressure cooker and have it steamed in no time! 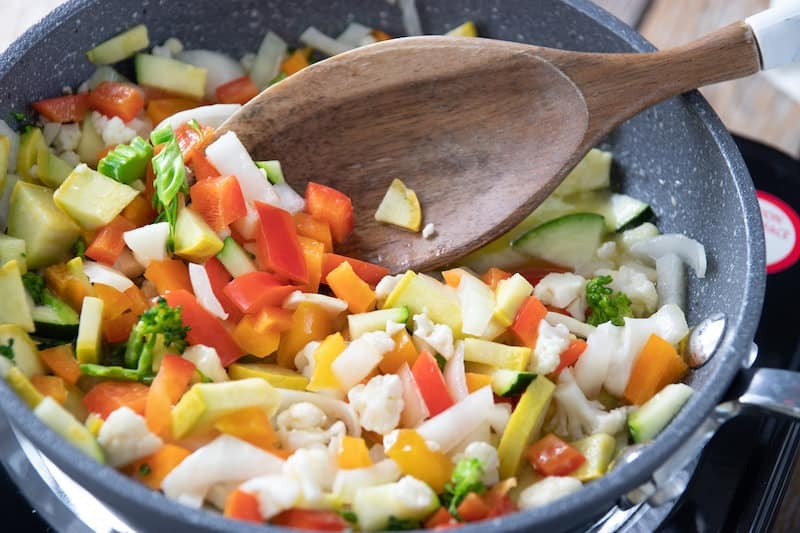 Now you can use a frozen bag of mixed vegetables for ths recipe but if you are looking for keto approved veggies it should be a combination of onion, broccoli, cauliflower, zucchini, radishes, squash, red peppers, orange peppers, etc... Most precut mixed frozen veggies have carrots and peas. 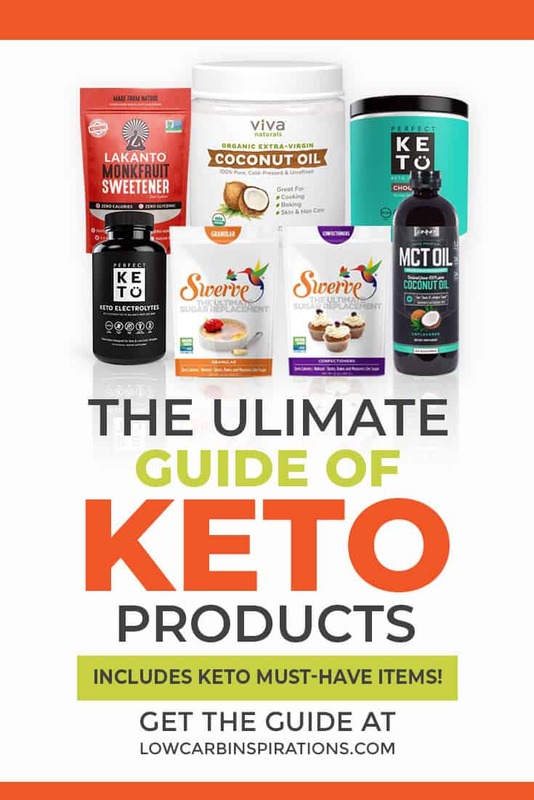 If you are strict keto, I want you to be aware of this.